The answer is a resounding yes! What we eat is enormously impactful when it comes to preventing and defeating cancer. However, in a world where claims about what will and won’t increase our risk of developing certain cancers are often conflicting, it’s understandable that many may feel skeptical about the pronouncement that our body’s natural defense systems can be strengthened through the foods we eat. When our doctors, the health magazines we read, and the websites we follow are all telling us different things; who or what do we trust? To that question, I would answer science: the science of how we grow cells, how our DNA (our genes) express themselves in our cells, how cells mutate and form clusters, and how those microscopic clusters progress into detectable cancer. When we understand how cells grow, and how different foods can either inhibit or activate the development of cancer cells, then the importance that nutrition plays in keeping us healthy starts to make a lot more sense. A few years ago, I gave an educational TED Talk on the subject of angiogenesis that posed the question: “Can we eat to starve cancer?” The answer to that question was “yes”, and my scientific explanation of how we can do that has since attracted over 11 million views. But what is angiogenesis and what does it have to do with starving cancer? Angiogenesis is the process our bodies use to grow and maintain blood vessels. In ordinary circumstances, blood vessels are supporters of life, delivering oxygen and vital nutrients to all of our organs. But when abnormal blood vessels grow, they can nourish microscopic cancers. A healthy angiogenesis system regulates when and where blood vessels should grow and can prevent tumors from recruiting a private blood supply for the oxygen they need to expand. When the body loses this ability to control blood vessels, a wide range of diseases can occur, including cancer. As long as the angiogenesis system operates properly, blood vessels grow in the right place at the right time—not too many, not too few, but just the right amount. Keeping this perfect balance in the circulatory system is at the heart of how angiogenesis defends health by keeping us in a state called homeostasis. Homeostasis is defined as maintaining stability in the body for normal function while adjusting to constantly changing conditions. Angiogenesis plays a vital role by creating and maintaining your entire circulatory system and adapting it to various situations over the course of our lives to protect our health. Because of this powerful health defense system that naturally cuts off the blood supply to tumors, cancer doesn’t have to be a disease. If you don’t consider yourself to be at risk of developing cancer, then why should this matter to you? Well, you may be surprised to learn that we are all forming these microscopic cancers in our body all the time. Autopsy studies from people who died in car accidents have shown that about 40 percent of women between the ages of 40 and 50 actually have microscopic cancers in their breasts. About 50 percent of men in their 50s and 60s have microscopic prostate cancers, and virtually 100 percent of us, by the time we reach our 70s, will have microscopic cancers growing in our thyroid. The body’s ability to balance angiogenesis prevents blood vessels from feeding cancers, and this turns out to be one of our most important defense mechanisms against cancer. In fact, if you block angiogenesis and prevent blood vessels from ever reaching cancer cells, tumors simply can’t grow up. So, if angiogenesis is a tipping point between a harmless cancer and a harmful one, then a revolutionary approach to preventing cancer is by cutting off its blood supply by consuming anti-angiogenic foods. My extensive research has uncovered a plethora of delicious foods (and beverages) that are naturally anti-angiogenic: foods that can block blood vessel growth and, subsequently, inhibit cancerous cells from ever developing into cancer, even in those for whom cancers run in the family. 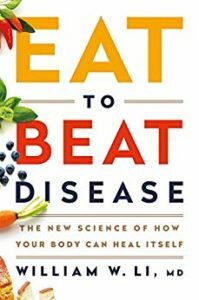 I list all of these foods, alongside some enticing suggestions for how to prepare these foods, in my eye-opening new book: EAT TO BEAT DISEASE. For example, repeated tests have shown that an abundance of fruits, herbs, vegetables, and spices, such as berries, grapes, soybeans, garlic, and parsley, inhibit angiogenesis by over 60%. Even more astonishingly, tests have shown that combinations of these foods provide our bodies with a more potent cancer inhibitor than any foods do by themselves, which proves the beneficial power of “food synergy” (eating a combination of healthful foods rather than a lot of the same food). My research team and I have tested numerous dietary factors for their ability to starve cancers and we’ve found that eating a predominantly whole foods plant-based diet, with the surprising addition of ingredients such as Pacific oysters, squid ink, and moderate amounts of beer and red wine, are powerfully effective at obstructing the development of cancer in our bodies. Angiogenesis is in our hands. 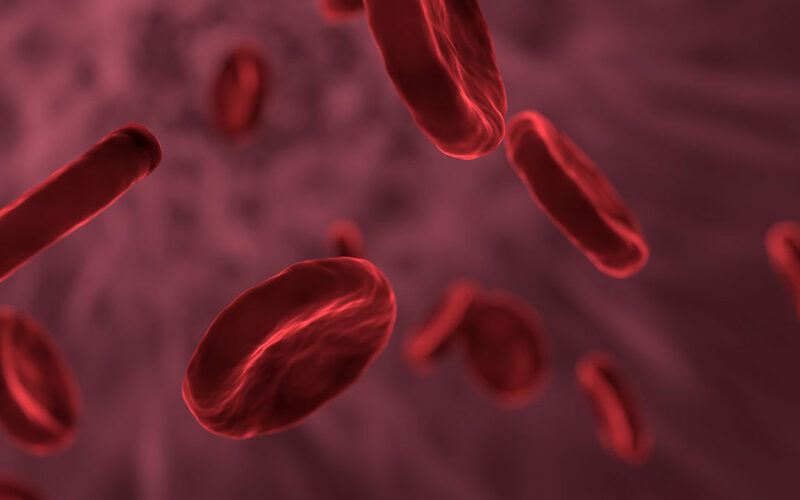 Understanding angiogenesis allows us to understand how we can help to keep ourselves healthy and disease-free, and even how we can potentially reverse the adverse health effects of genetic predisposition to disease or a poor diet. Angiogenesis is the new science of how the body heals itself, and the message from that science is that our health outcomes are not predestined. We can fight disease through the foods we eat. We can, quite literally, EAT TO BEAT DISEASE.